What Are The Health Benefits Of Pumpkin? Pumpkins are fully loaded with vitamins and minerals, but low in calories, making it a guilt-free food to indulge in. Pumpkin bread and pumpkin beer mean only one thing: it is the autumn season. In many regions of the world, including North America and the United Kingdom, the "pumpkin" traditionally refers to only certain round, orange varieties of winter squash. And, this versatile squash can be used in many dishes and for a good reason. Pumpkins are fully loaded with vitamins and minerals, but low in calories, making it a guilt-free food to indulge in. The seeds are especially popular as a seasonal snack in the autumn. The following are a few reasons why you should indulge in more pumpkin products during the fall season. In terms of pumpkin nutrition facts, this squash is rich in fiber with very few calories. A one-cup serving contains three grams of fiber and only 49 calories to keep the body full for longer periods of time. This can help people eat less and lose weight. Also, fiber stimulates the peristaltic motion, brings about an increased secretion of stomach juices that ease digestion, prevents conditions, like constipation, and defends the body from severe conditions such as cancer of the colon. 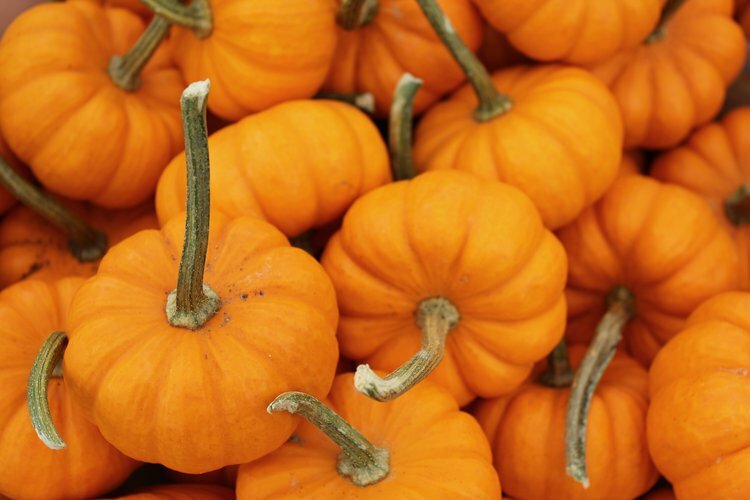 A cup of cooked, mashed pumpkin contains more than 200% of the recommended vitamin A intake. Vitamin A has been shown to promote better eye health, especially in the dark, and prevent deterioration of the eye. Also, pumpkins contain vitamin C, vitamin E, and the antioxidant beta-carotene, which a compound that converts into a form of vitamin A to assist in eye protection. Pumpkins can also help maintain a better blood pressure because of the healthy amount of fiber, potassium, and vitamin C that it contains. Hypertension or high blood pressure is known to improve when an individual consumes adequate potassium and maintains a low sodium diet. Pumpkin seeds contain anti-inflammatory properties. Anti-inflammatory agents reduce swelling or redness in the body that is caused by harmful stimuli. Research has shown that pumpkin seeds have anti-inflammatory compounds. Pumpkin seeds have been directly associated with a decrease in inflammation and the associated pain of arthritis. Cooked pumpkin seeds can also help improve cholesterol and heart health. They contain a compound called phytosterol, which is directly linked to lowering “bad” cholesterol levels and aiding in preventing blood clots and atherosclerosis. Atherosclerosis is a disease in which plaque builds up inside the arteries, leading to heart disease. Not only do pumpkin seeds improve heart health, but they can also help improve kidney stones. Pumpkin seeds have been associated with a reduction of toxins in the body due to their diuretic properties and antioxidant activity. Also, increased potassium intake from pumpkin has been linked with a decline in the formation of kidney stones. The rich quantities of iron in pumpkin have helped it become an exceptional food to help produce red blood cells. Moreover, vitamin A, along with iron, promotes fertility in women who are at a childbearing age and in lactating mothers. For individuals, who cannot stay calm and fall asleep, pumpkin seeds can help treat anxiety and insomnia. Anxiety is an umbrella term for several disorders that cause nervousness, panic, uneasiness, and worrying. Insomnia is the inability to fall or stay asleep, often due to stress. Pumpkin seeds are rich in both magnesium and the amino acid tryptophan, which have been known to be associated with sedation and soothing qualities that stimulate sleep. Moghadasian, M. H., & Frohlich, J. J. (1999). Effects of dietary phytosterols on cholesterol metabolism and atherosclerosis: clinical and experimental evidence. The American journal of medicine, 107(6), 588-594. Okuyama, Y., Ozasa, K., Oki, K., Nishino, H., Fujimoto, S., & Watanabe, Y. (2014). Inverse associations between serum concentrations of zeaxanthin and other carotenoids and colorectal neoplasm in Japanese. International journal of clinical oncology, 19(1), 87-97. Packer, J. E., Slater, T., & Willson, R. L. (1979). Direct observation of a free radical interaction between vitamin E and vitamin C.
Wu, K., Erdman, J. W., Schwartz, S. J., Platz, E. A., Leitzmann, M., Clinton, S. K., ... & Giovannucci, E. (2004). Plasma and Dietary Carotenoids, and the Risk of Prostate Cancer A Nested Case-Control Study. Cancer Epidemiology Biomarkers & Prevention, 13(2), 260-269. Kwon, Y. I., Apostolidis, E., Kim, Y. C., & Shetty, K. (2007). Health benefits of traditional corn, beans, and pumpkin: in vitro studies for hyperglycemia and hypertension management. Journal of medicinal food, 10(2), 266-275. Li-hui, H., Qun, H., & Mei-juan, Y. (2005). The Nutritive-Health Value and Development of Pumpkin [J]. Guangzhou Food Science and Technology, 3. Wagner, F. S. (2000). The health value of Styrian pumpkin-seed oil-science and fiction. Cucurbit Genetics Cooperative, (23), 122-123. Yong-xin, R. (2007). Health function and pharmacology on pumpkin [J]. Food Engineering, 2, 003. Yadav, M., Jain, S., Tomar, R., Prasad, G. B. K. S., & Yadav, H. (2010). Medicinal and biological potential of pumpkin: an updated review. Nutrition research reviews, 23(02), 184-190. LIU, Y., QU, S. P., & CUI, C. S. (2006). Current situation and prospect of research in nutritional and functional components of pumpkin [J]. China Cucurbits and Vegetables, 2, 014.